Gifts Define for truly divine handmade gifts! Here at Babyology we see some really remarkable things and extremely talented people. Irma Niekum of Gifts Define creates stunningly exquisite personalised gifts for special small people. 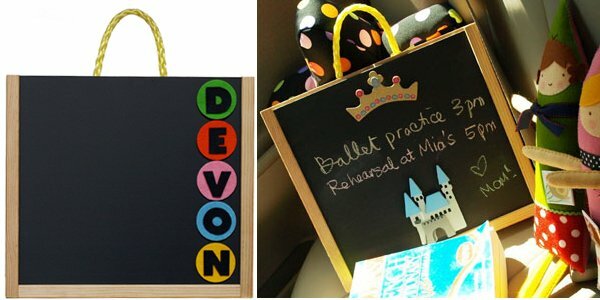 Some favourites of ours include the Personalised Art Box (US$54) with its marvellous dual action magnetic whiteboard side and chalkboard flipside. Each Art Box comes with an accessory pack stored inside so your little artist can get started straight away. The vibrantly coloured wool felt items capture my heart completely. My personal favourite is the My Boneka Keepsake Doll (US$72). Each doll is different with their own ‘personality’ trait card so you can match your child to a similar doll if you dare! The Tooth Guardian Angel is a doll with special tooth holding pocket and certificate, making a sentimental gift from parents to a child with a loose tooth. 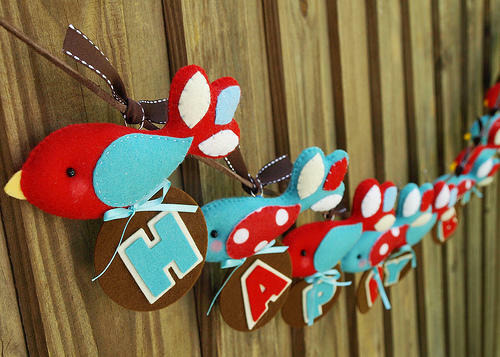 There’s party favors, felt bird cake toppers and magnificent personalised Tree Story Wall Art (US$150) where you choose your favourite animal to be perched high on a branch. There’s baby mobiles to make the heart sing and complement any nursery décor. I’m a sucker for anything packaged in a suitcase but the Pet Pals Suitcase Deco Set is just charming and bound to be much loved and treasured! Just about everything can be customised from colour through to design, so don’t be afraid to ask! See these and more wonderful wares at Gifts Define. Delivery to Australia is available. Many thanks go to Jena at Modish for letting us know of this talented lady!